Mister concrete delivers to most of the London, Surrey and Berkshire boroughs. 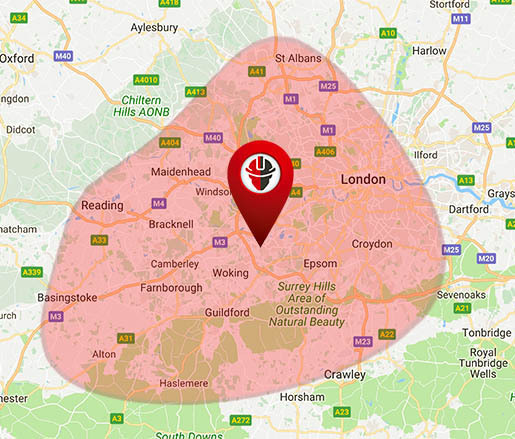 Close proximity of our Chertsey depot to M25 and M3 allows us to serve most of the area in relatively quick time therefore we are able to guarantee 2 hour slots for your delivery. If you are looking for a supplier near you please check the map whether we deliver to your area. In case you will not find your borough in the list bellow, please check with us for further information.